Among my favorite posts from this past February was this second entry in my — not yet complete — series on “The Vocation of a Christian Historian,” asking whether historians ought to think of what they do as a profession, vocation, or both. As I mentioned last week, as part of Bethel’s faculty promotion process I recently wrote a lengthy essay on the meaning of vocation for a Christian historian like myself. In my first post stemming from that essay, I started at its conclusion, which sought to step back from the preceding pages’ emphasis on how historians particularly conceive of their calling and emphasize both that we have a primary calling that trumps all secondary ones, and that those more particular callings must be balanced. Or as he more famously summed it up in a 1973 book, the voice of vocation calls you “Where your deep gladness and the world’s deep need meet” (Wishful Thinking, p. 95). 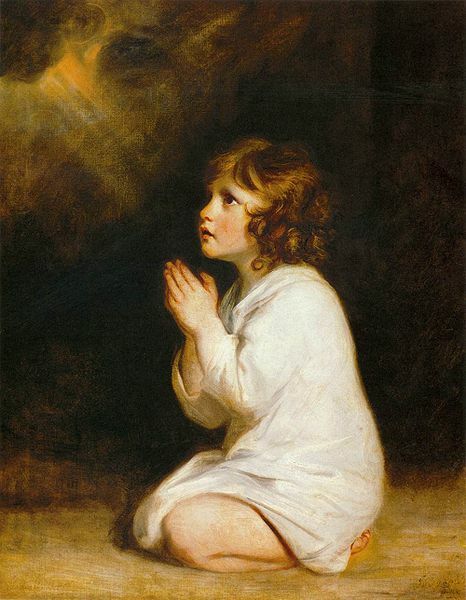 while Isaiah might have been able to hear God’s voice on his own, I suspect that most of us are more like the boy Samuel, who, having been called three times by the God he did not yet know, needed the priest Eli to clue him in to what was happening (1 Sam 3:2-9). The voice of need, surely, and even the voice of our own gladness are more easily heard by others than ourselves. Parents, pastors, mentors, friends, coworkers — at some point, someone noticed joy or need that we couldn’t fully perceive and spoke a word into our lives at precisely the right moment. Like so much else of the Christian life, vocation requires community. In that sense, it’s good to be a member of a profession that sets expectations for one’s training and work. The American Historical Association isn’t exactly a magisterium, but the collective (if sometimes cacophonous) voice of my fellow AHA members is one I ought not ignore. For those of us who feel called, first and foremost, to teach — who feel most satisfied serving the needs of students by teaching them histories long since passed over by researchers seeking the next cutting edges — there is a significant tension between our calling and the expectations and prejudices of our profession. If we want recognition and status, tenure and promotion, we are tempted to silence the voices of gladness and need and force ourselves to churn out articles and monographs — sometimes joylessly, and knowing that the primary need being served is that of our own ambition. Next time: finding gladness in seeking truth.